The right typeface is often the key to strong brand identity, a well-designed website, sharp looking brochures, and strong marketing materials. But there’s much confusion and misinformation about typefaces, fonts and how designers and marketers can lawfully use them commercially. The truth is that most people, and especially designers and marketers, do not understand the law governing the use of typefaces and fonts. There’s no shame in this. After all, most lawyers don’t understand design or marketing. Far too many designers and marketers incorrectly assume that they can freely use any typeface or font for logo design or any other design project. Even design and marketing agencies often run afoul of font law and expose themselves and their clients to legal liability. Let’s look at the law of fonts and typefaces and answer the most common questions agencies, designers, and marketers ask about using fonts in designs and marketing projects. Need creative inspiration or client overflow help without hiring? Learn how 2 to 50 person agencies prevent overload and stale client work. Give clients more creative options. Effortlessly set your clients apart with custom naming and design. We just emailed the tips to you. Get our tips on the best way to start crowdsourcing. Technically, a “font” is a computer file or program (when used digitally) that informs your printer or display how a letter or character is supposed to be shown. A “typeface” is a set of letters, numbers and other symbols whose forms are related by repeating certain design elements that are consistently applied (sometimes called glyphs), used to compose text or other combination of characters. Although many people would call “Helvetica” a font, it’s actually a typeface. Variations of Helvetica, such as Helvetica Regular, Helvetica Italic, Helvetica Bold, etc. are fonts. The software that tells your display or printer to show a letter in “Helvetica” is the font. How do you acquire a license to a font? Fonts can be free or licensed, for a fee, for commercial use. Whether you pay for a font or acquire it for free, each font comes with a license that explains how you may use that font (and how you may not use the font). Your rights and obligations are defined in the End User License Agreement (EULA). Those agreements will vary among fonts and among font makers – so read them very carefully to understand what you can and cannot do with the fonts you’re licensing. For example, some agreements will restrict the number of computers on which you can install a font. Other agreements will restrict the ways you can use a font. Copyright is a form of legal protection provided to those who create original works. Under the 1976 Copyright Act (United States), the copyright owner has the exclusive right to reproduce, adapt, distribute, publicly perform and publicly display the work. Any or all of these rights can be licensed, sold or donated to another party. One does not need to register a work with the U.S. Copyright Office for it to be automatically protected by copyright law (registration does have benefits – but we won’t be covering those in this article). For more about copyright law, you can read Everything Marketers Need to Know To Avoid Violating Copyright Law and Small Business Legal Issues: Copyright Basics. Generally, copyright law in the U.S. does not protect typefaces. Fonts may be protected as long as the font qualifies as computer software or a program (and in fact, most fonts are programs or software). Bitmapped fonts are considered to be computerized representations of a typeface (and are not protected by copyright law). On the other hand, scalable fonts (because they are incorporated as part of a program or software) are protected by copyright. You should remember that copyright law, and more specifically, as it relates to typefaces and fonts, varies by country. For example, the U.S. may be the only country in the western world not to recognize intellectual property rights in typeface design. The U.S. Copyright Office has unequivocally determined that fonts are not subject to protection as artistic works under the 1976 Copyright Act. Does the U.S. have to follow the copyright law of other countries under international treaties? All of the major copyright treaties and agreements to which the U.S. is a party (such as the Berne Convention) operate under a common principle (called “national treatment”) which holds that a country must treat foreigners and locals equally. That means, among other things, that the U.S. is not obligated to provide greater protection to works from other countries than it provides to works produced in the U.S.
Can you copy typefaces without worrying about copyright law? Some argue that you can copy a font (by recreating it yourself) and as long as you don’t copy the computer program, you’re not violating the law (in the U.S.). Among other ways, you can lawfully print every glyph on a printer, scan the image and then trace each image on your computer (none of this would involve copying the software or program representing the fonts). This gets a bit muddied when you consider that fonts are often tweaked and used as part of a larger design. For example, a typeface may be customized and used as part of a logo design. While the typeface itself is not subject to copyright protection in the U.S. (even if the company name is otherwise trademarked), the logo design itself might be protected as an artistic piece, taking into account the arrangement of letters, use of space, organizations, colors, and other creative aspects of the design. A good example of this is the Coca Cola typeface – the typeface is protected because it is the logo. Typeface designs can be patented but typically are not. Moreover, even those typeface designs that have been patented were patented some time ago and nearly all of the design patents have expired. Although many free fonts allow unrestricted use (including use for commercial projects and as logotype fonts), “free” fonts can sometimes be commercial fonts that are illegally copied. Be careful and make sure that the fonts you are using come from a trusted source and that you understand your rights and obligations. Should you use “free” fonts? That’s a subjective opinion. 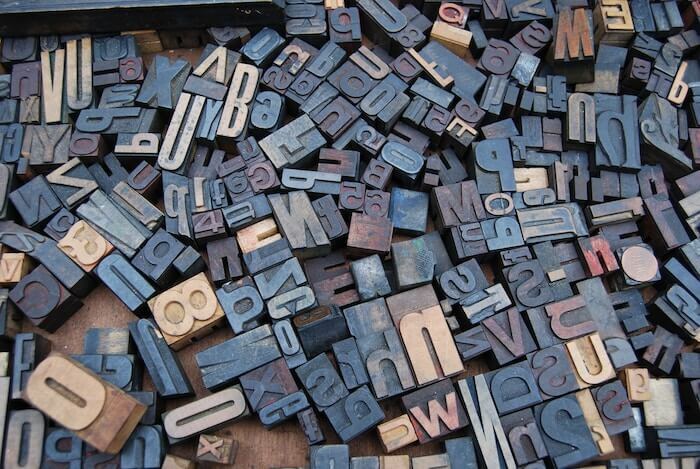 Many free fonts are outstanding and used frequently by designers and marketers. But not all free fonts are created equally. Some don’t have upper and lower case letters or are missing symbols. Others might not have enough variations of bold, italic, heavy, light, etc. versions of the font. Can you give a font to a client? No. Unless you created the font or have the right to give the client the font for free, you should never do this. Your right to sub-license a font is governed by the EULA. You cannot send the client a font unless the EULA specifically permits you to do so. This means that if the client will need the font, they will be required to purchase their own license to use it. Most logo designers avoid problems related to font licensing by converting their logotype to outlines (in a program like Adobe Illustrator) and sending the client a vectorized outline (but not the font). If you’re supplying a vectorized logo to a client, they won’t need to purchase the font. However, if they want to use the same font for their stationery, website, or marketing materials, they’ll need to own a proper license to that font to use it for those other purposes. What fonts are used in contracts? You can use any font in a legal contract. Just be sure that the font is readable. Can you use a font as a logo? Yes, provided you have a proper license for that font. Also, remember that it’s a good idea to tweak the font in small ways so that it stands out from a simple logotype. Otherwise, your logo may look like thousands of other logos. There is no single best font. But there are powerful psychology principles in play when using fonts. Should you use a serif or sans serif font? One primary way typefaces and fonts are classified are whether or not they have “serifs,” which are the tiny flourishes found at the end of a letter’s strokes. Serif typefaces are associated with tradition, and stability. Finance, fashion, journalism and other prestigious industries incorporate that classic style into their designs to great effect. Sans-serif types became popular around the start of the 1800s, right around the same time that modernism took off. With design moving toward a more universal style and focusing on inclusive thinking, Sans-serif typefaces deconstructed the traditional letterforms and modernized them into an accessible and appealing aesthetic. Popular sans-serif typefaces like Helvetica are everywhere on the web because they fit right in with the modern aesthetic. That makes them a stellar choice for branding and marketing systems, though their omnipresence does make them a less distinctive choice. Can Microsoft Word fonts be used commercially? You cannot resell Microsoft Word fonts as your own or as part of a collection, but you may use your legally acquired fonts commercially. 1. Are you legally allowed to use the font? Many fonts are sold commercially and cannot be used by people who do not purchase those fonts from proper vendors. If you purchased the font or obtained a free font that was created for free commercial use, you may legally use the font as long as the EULA gives you the right to use it in the way you intend to use it (i.e. for logo design). 2. Is your intended use permissible? Some font licensing agreements may restrict ways that you can use the font. Review the agreements carefully when in doubt. 3. Can you sell and/or send a copy of the font to your client? Typically, at least for commercial fonts, the answer is NO. Your client will be required to purchase the font. One way to avoid this is to outline the font (as described above) and provide the client with a vectorized outline. Do you have other questions about fonts and typefaces and the law or useful tips based on your own practice? I’d love to hear from you in the comments. >> If you’d prefer to watch a video about this topic instead of, or in addition to reading this post, here’s the video: How to Avoid Legal Issues When Using Typefaces and Fonts in Your Small Business Logo.